The PMDX-135 has been replaced by the upgraded PMDX-137. 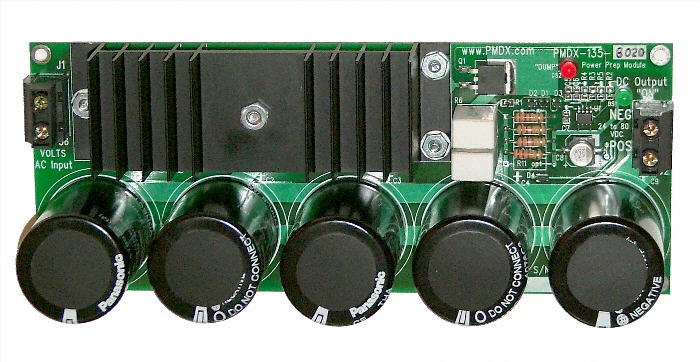 Click here for the PMDX-137. 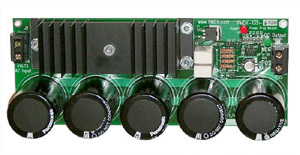 Picture of PMDX-135-8020 module for use up to 80 Volts DC at up 20 Amperes. Indicators furnished for "DC Output ON" and back EMF "DUMP"
** Geckodrive, Inc. the maker of the Gecko motor drivers does not manufacture, sell, or provide techincal support for the PMDX-135. Download the manual in PDF format here (revision 1.2, 340 KB).